All NC ski Resorts, Areas and Slopes are now closed for the 2012-13 season. With plenty of winter weather in March making up for the slow start in November and December, Cataloochee Ski Area was open a record number of days at 149. Sugar Mountain Resorts Slopes were the last to close on March 31 with a final base depth up to 72 inches. Appalachian Ski Mountain concluded its season with some of the best conditions for closing day in over a decade. Beech Mountain Resort Slopes made major improvements for the 2012-13 season and will be offering more warm weather activities than ever, including mountain biking, summer lift rides and other events. Sapphire Valley is ready to welcome spring with great golf, tennis, hiking, dining and events. Season Ski tickets are available for the 2013-14 season at discounts. 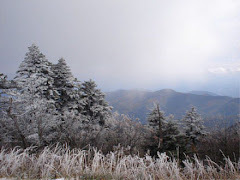 Get a link for all NC ski Slopes HERE.